Om tubes is an expert manufacturer and global exporter of Monel 400 sheets worldwide. We have products like sheets, flanges, pipes, tubes, pipe and tube fittings and more in all industry grade alloys like Monel, Inconel, Hastelloy, Steel and more. Om Tubes Monel 400 sheets are demanded across 20 countries and we deliver even large shipments in a timely fashion. Our quality and packaging are unmatched as experts from the field check our products regularly. Our own research and development team along with standard laboratories test and verify our product quality and finishing. 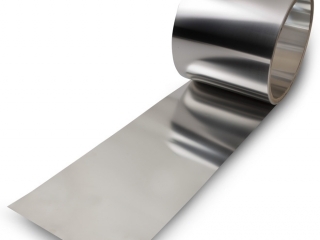 Om Tubes being Monel 400 Sheets Supplier provides you with the best quality & services. The sales service at Om tubes is what makes us different from other steel suppliers. We strive to pull customer loyalty by providing them with a personalized service. One clicks on our contact button and we guide you step by step to make your purchase with us a cake walk. Be it any metal emergency, Om tubes aspires to deliver the best.